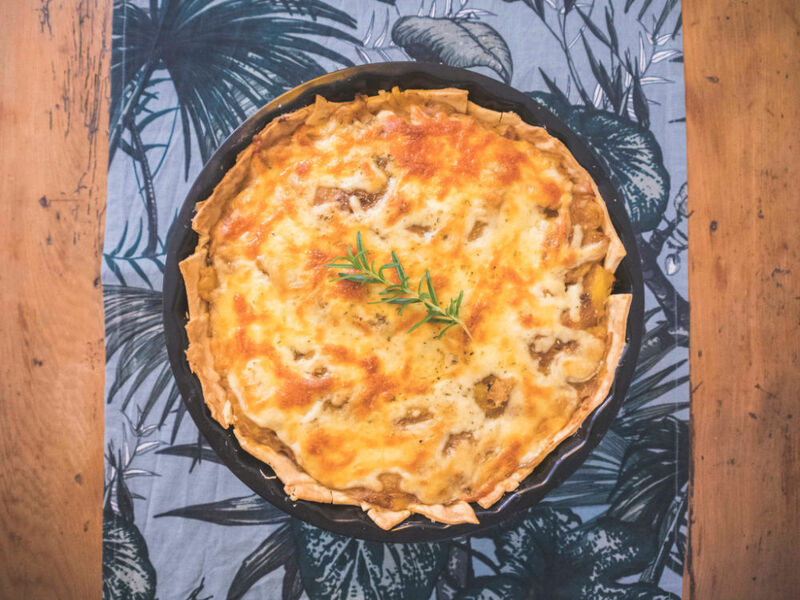 It’s been a long time since I last posted a new recipe here…I’ve been mainly focusing on other parts of the sustainable world but today, I’m back with a recipe that I was excited to try for a long time: pulled jackfruit pie! I’ve bought pulled jackfruit ready to eat before but I never tried making it myself. So yesterday, while we were at the farmer markets, we spotted this beautiful jackfruit and thought that it was a good opportunity to give it a go. Jackfruit is a great fruit to use in savoury dishes as it has a very subtle and mild sweet flavour. It contains great amounts of fibre so it helps reduce blood sugar spikes. It also is a good source of protein (approximately 3 grams per cup) compared to other fruits. Making pulled jackfruit was easier than I expected but I would love to try different sauces and cooking methods. What I made this weekend was a sweet and sour pie with a hint of paprika which turned out really good and with a great balance between the sweet, sour and a little spicy. This time I was feeling lazy and we were late for lunch so I just used some leftover pastry I had in the freezer. But I would love (and highly recommend) to make my own. As we bought the whole fruit, we cut it open, deseeded and cooked in one go but I save a little extra for other recipes to try this week. 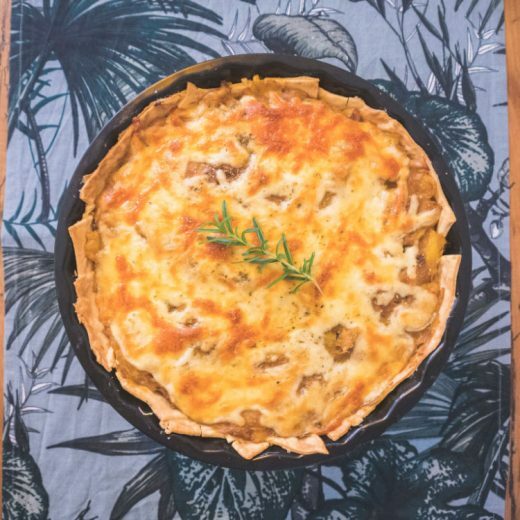 For this pie I only used the jackfruit for the filling. You can add other vegetables to add extra flavour and texture. 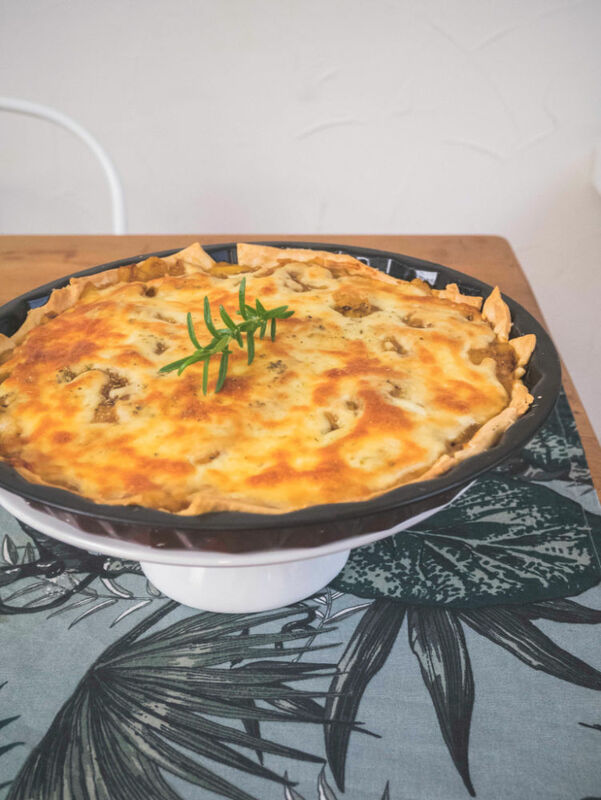 So with no further ado, here’s my recipe for Sweet & Sour Pulled Jackfruit Pie! 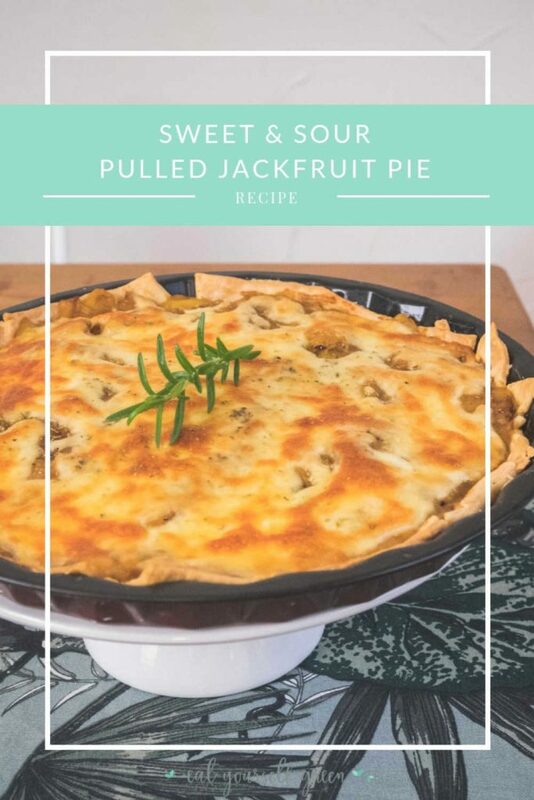 Sweet and sour pulled jackfruit pie made simple ingredients. Cut open, remove fruit pulp, deseed and set aside OR remove water if you buy canned jackfruit. Chop onion and garlic and sauté in a large pan with olive oil. When onion is translucent, add the jackfruit. 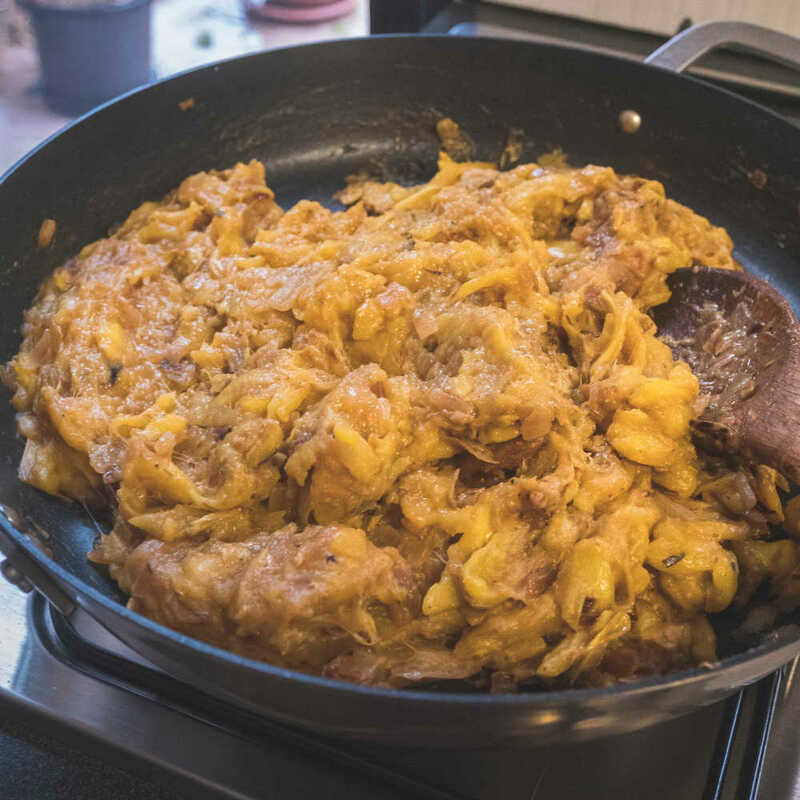 Braise the jackfruit until golden brown. Now add all the seasoning. Also add the dijon mustard and balsamic vinegar and cover the jackfruit. Let it cook for about 15 minutes or until tender. Once it's cooked, remove from heat and place jackfruit in a plate to shred. Now, preheat the oven at 180ºC. Line a round tray with a sheet of shortcrust pastry. Place it in the oven to cook for about 15 minutes. Remove from the oven and transfer the jackfruit filling into the tray. Top with vegan cheese or mozzarella and oregano. Cook until golden (about 10 minutes). 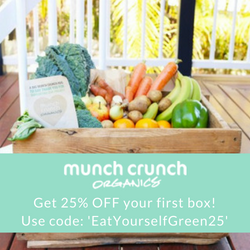 Follow Eat Yourself Green on Instagram & Facebook. This sounds delicious! Jackfruit isn’t one I’m familiar with, but I checked and it seems one of my local supermarkets does stock a canned version. Maybe I’ll give it a go at some point! Do you know how well this pie keeps, Larissa? Let me know if you try it with canned type. 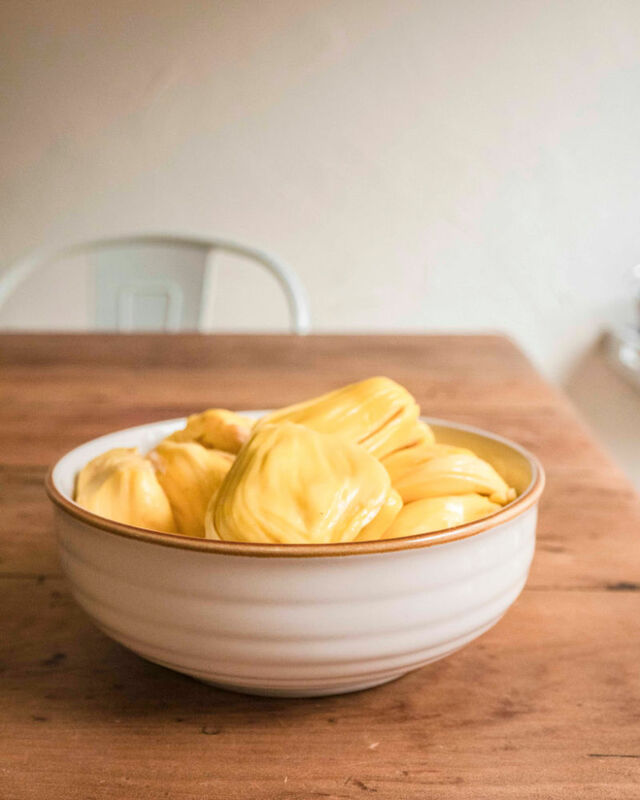 Great post – I had never even heard of jackfruit until the dorm I live in served it one day… And I thought it was quite good! 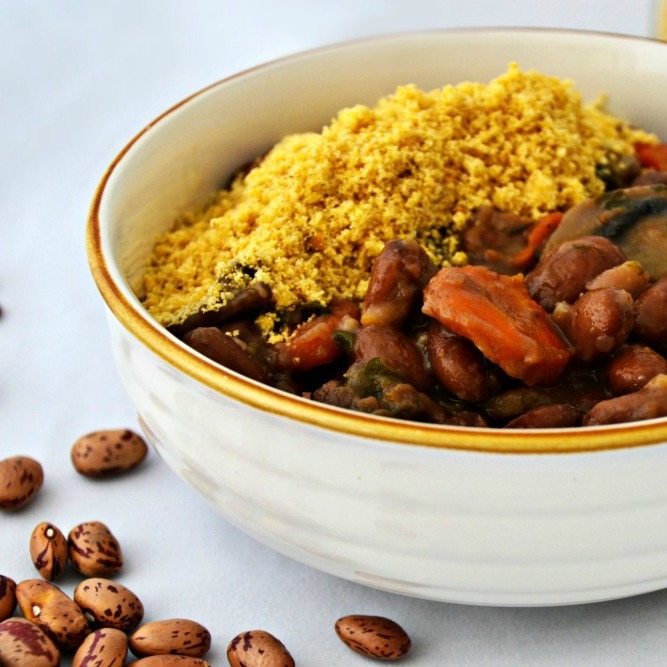 I am on a journey towards living zero/low waste, so I always love to find recipes that don’t call for any meat. Thanks for sharing! Ah that’s amazing to hear Jenna! I hope you give this a go. 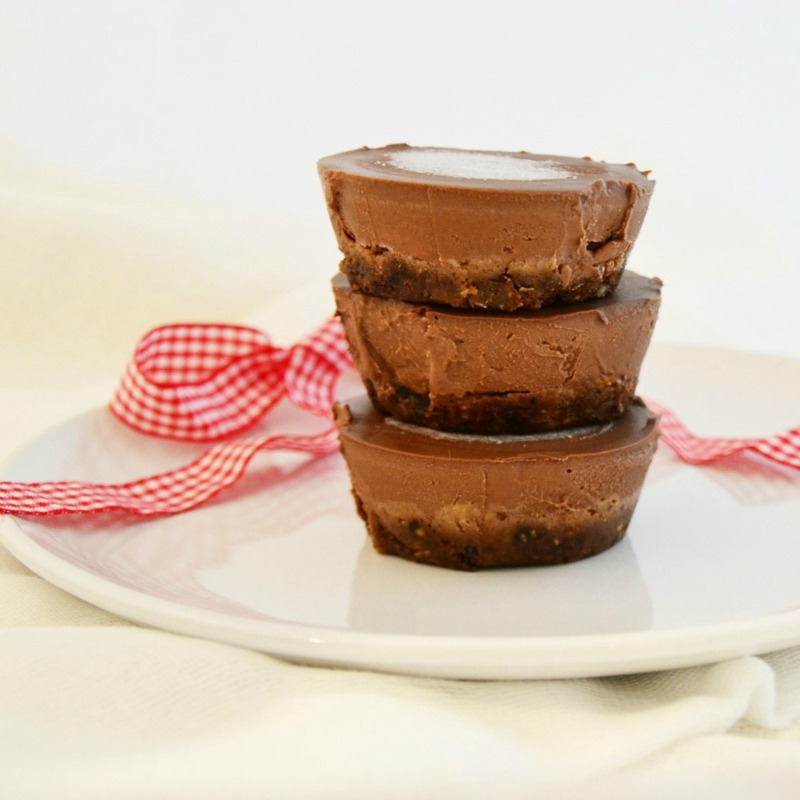 It’s so simple and super filling.